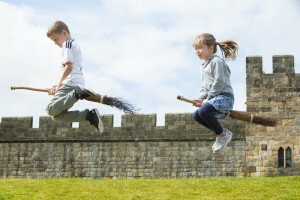 Hang on to your hats, cloaks, boots and broomsticks as magnificent Alnwick Castle in Northumberland prepares to open its great doors again for the 2019 season on Friday 29th March! And what magic, mirth and mayhem lies ahead for all who dare to enter! This year you’ll find a refurbished restaurant with smart new bar, a new healthy takeaway, plus an amazing array of fabulous featured events and activities taking place every day until the end of October. Over 100 new, seasonal members of staff, including costumed guides, are already in post and are being carefully briefed, trained and tested in their new posts. Harry Potter is always alive and well at Alnwick Castle (the Castle starred as Hogwarts School of Witchcraft and Wizardry in two Harry Potter films) and this year is no exception. During various Wizarding Weeks and Wizard Weekends throughout 2019, you may see lookalike characters from the films, including Harry and Dumbledore, mingling with the crowds and conjuring up all sorts of fun. 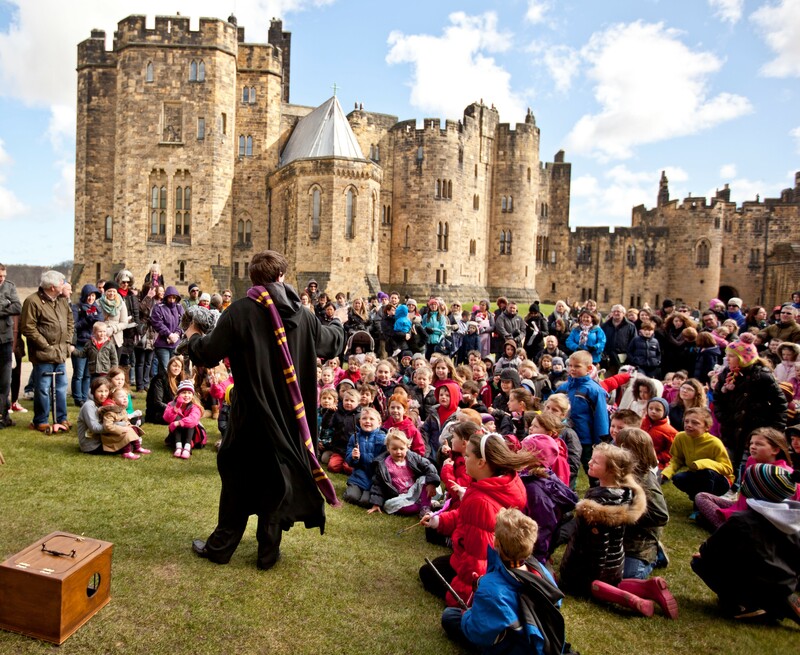 Alnwick Castle’s own wizarding professors will also be on hand and you might spot some real, live enchanted creatures (not for the faint-hearted) and make your very own magical wands in craft workshops. Amongst many more weekend events The Alnwick Castle Joust in May will see medieval armoured knights engage in full combat on horseback. It’s a truly thrilling and exciting display for all the family and is a precursor to another totally spectacular occasion this year – the mighty Joust of the North! This gripping 15th century-style Jousting Tournament will take place over four days in August, when you can witness the splendid drama and passion of many brave knights on their trusty steeds thundering towards each other and battling valiantly to defend their honour. Swashbuckling stuff! 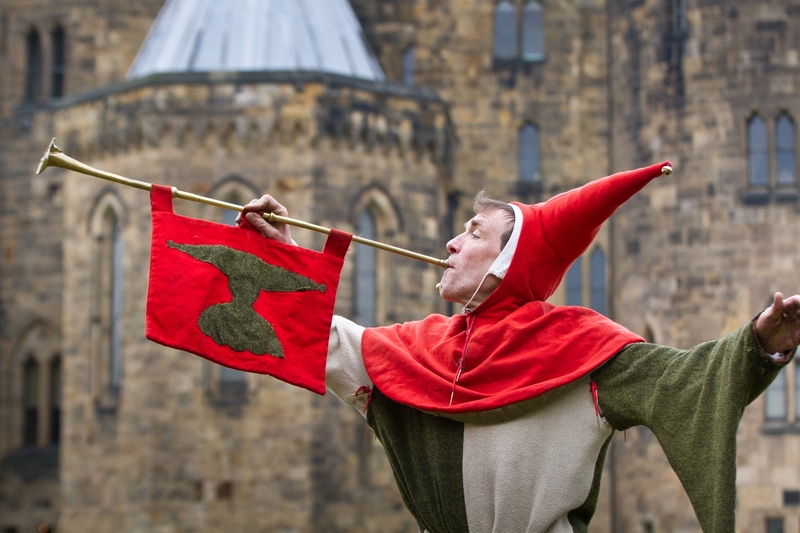 Evening activities include July outdoor performances by the popular Three Inch Fools, of Shakespeare’s Much Ado About Nothing in the grounds of Hulne Abbey and Shakespeare’s Macbeth in the grounds of Alnwick Castle. In August, Alnwick Castle’s “Cinema Under the Stars” will present screenings of Bohemian Rhapsody and The Greatest Showman. Alnwick Castle will be celebrating the centenary of the signing of the Treaty of Versailles on 29th and 30th June. This officially brought WW1 to an end and marked the start of 1919 Peace Celebrations across the country. The Castle will be holding its very own Peace Celebration centenary street parties and visitors are welcome to join in. As usual, every day from 29th March until 27th October, you’ll find an amazing array of activities to enjoy, including the highly popular film location tours, broomstick training, and scary Dragons Quest (only for the very brave). Little children in particular – and sometimes grown-ups too – love the medieval dress-up, games and craft-making in Artisans Courtyard. And there’s yet more magic at Alnwick Castle! For history fans of all ages, you can tour the incredible State Rooms with an engaging and knowledgeable guide, hear stories from the long and eventful history of Alnwick Castle as you walk the grounds, or enjoy a 10 minute talk on a variety of different historical figures or objects from the Alnwick Castle collection. There are a variety of fascinating on-site museums and exhibitions. Constable’s Tower; the Northumberland Fusiliers Exhibition; the Antiquities Museum and the Unrolling History exhibition, have all been recently restored and offer a wealth of easily accessible information and fascinating facts on the Castle and Northumberland’s turbulent past.